The long-awaited general elections of Nigeria have come and gone but there are expositions and lessons from elections as well as the political unravelling of the true nature of our past [electoral systems], and how elections were run in the past. This knowledge shall abide with us in our growth towards a more cohesive nation. While the opposition ( PDP and their cohorts) were busy trying all means possible to heat up the polity with hate speeches and threats of violence erupting in the event of their loss at the polls, the corporate Nigerians did not only come out to exercise their electoral franchise (voting) but were also able, in unison, to manage any culpable event that may lead to violence. The significance of the presidential election result is in its clear variation in the combined figures from each of the elections since 1999. Between 1999 and 2011, PDP consecutively won the presidential elections with 18.7 million, 24.4 million, 24.6 million and 22.6 million respectively. During this same period, a minimum of 2 million votes came from each of Rivers, Delta and Akwa-Ibom States. In 2015, while PDP was still in power but could not fully influence the electoral process, the number of vote they had in the presidential election dropped to 12.8 million but the most curious outcomes are from the 2019 elections where none of Rivers, Delta and Akwa-Ibom States believed to have consistently turned out the numbers could produce above 800,000 votes for all contestants combined. The mandatory use of the card reader machine exposed the perennial rigging system of PDP. The party was able to manage its hold in 2015 but in 2019, being an opposition; it became clear that we must attend to pertinent questions that beg for answers. What has been happening in the South-South and South-East? How did the use of card reader machine drop the number of votes from the two regions by as much as 58%? Could this be a confirmation of our earlier submission that PDP had always in the past embarked on writing election results without recourse to actual voting in the two regions? When President Muhammadu Buhari won again in the North-West and North-East, Atiku and PDP cried foul. They had expected that even if they would not win in the two regions, they should have come out with a substantial figure from the regions. What they didn’t account for is the fact that each and every time the president had contested in the past he got massive support from both regions. The North-West alone has always given him a bulk vote of 12 million even when he was “losing “ the elections. When the President won massively in the North, especially in Kano State, PDP believed it is not possible with Kwankwaso’s influence in the state but the governorship election from the same state has proved that the election outcomes are not about party but the quality of the aspirants. The very reason Atiku and PDP lost in Kano and in almost all Northern states is the same reason APC’s Ganduje is losing in Kano. The personality of each candidate matters a lot to voters in these states and they would rather vote for individuals with credibility instead of a party with terrible candidates. The governorship elections in Oyo, Kwara, Kano and Bauchi States put to rest any conspiracy of rigging during the presidential elections. When the people become free to exercise their voting rights with assurance that their votes will count, the power of the people to remove and install their leaders becomes practical. We have heard many cries in the aftermath of the presidential elections because certain people in Nigeria are not used to having the masses decide who governs them. These people, referred to as the godfathers, believe it is their duty to decide who is good for us and enforce them over us; they give us fake electioneering outings but stay in the comfort of thier rooms to write results. 3. POSSIBLE EXPLANATIONS FOR THE FIGURES FROM THE SOUTH-EAST AND SOUTH-SOUTH (WERE THE ELECTIONS RIGGED)? What possible explanation could there be for the extremely high voter’s apathy in the South-South and South-East? • The losses of PDP in specific places should be discussed: Were the elections rigged in those places? If Atiku, Obasanjo etc. lost in those places, how did it become illogical for him to lose in areas that are pre-allocated for the president? How possible is it that, of all places, is Atiku rigged out in his own polling unit? • If the voters’ turnout in the South-East and South-South dropped below expectation, would that justify the calls that in previous elections, the regions had always served as points where election results were written without recourse to actual voting as a couple of witnesses had submitted? • Should President Buhari and his party be blamed for the refusal of people who promise Atiku the presidency not coming out to vote for him? Definitely not. The South-South and South-East are renowned for disrupting the electoral processes through thuggery and violent means which has always been the reason for voter apathy in the zones. During the days when the PDP was ruling the country, they usually, as widely reported, write down the figures for most of the entire South-South and South-East which they could not achieve this time. 4. Atiku won in a good number of states, and the PDP was able to turn the tables against APC in several high ranking senatorial zones across the country. According to Atiku and PDP, the elections were okay in those places. If APC could successfully rig the elections as insinuated by the PDP and Atiku, why did the APC ‘allow’ Dino Melaye to win? Why did Senator Uduaghan, Senator Akume and Senator Akpabio not return to the senate? Is it not logically the case of, if I win, the election is credible; if I lose, the election is rigged? Is it possible to rig out the “great” Obasanjo in his own polling unit? Was Atiku rigged out in his own polling unit, before his very own eyes? Was Buba Galadima rigged out at his ward in Yobe despite his promised to deliver same to Atiku? If APC could win in these unbelievable locations, how difficult is it to accept they won in other areas where they naturally have the strength? 5. WERE THE ELECTIONS FREE, FAIR AND CREDIBLE? What are the parameters for measuring a free, fair and credible election? Is it based on occurrence of pockets of infractions and violence in a limited location that would not by any indication constitute 4% of the generality of our political space, or by the peace that permeates the process in the generality of polling units across the country? 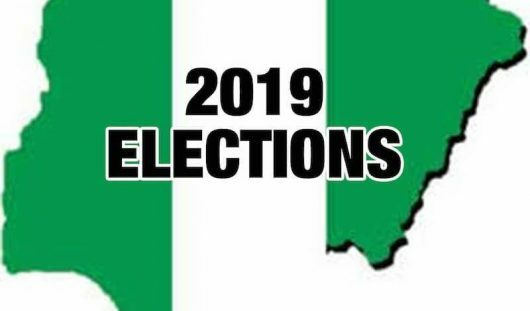 Are we going to measure the extent of credibility of the 2019 general elections by the much unproved and baseless propagandas from PDP, or believe the entire local and international election monitoring groups who, in agreement, submitted that the Nigerian elections in 2019 was peaceful, free, fair and credible? Are we going to believe the statement credited to the UK mission that the announced result was in agreement with the field result at their disposal or we should flow with Atiku and PDP that suddenly lost confidence in all the observers they were praising before the elections? When Dankwambo a sitting Governor could not get his Senate bid; Ajimobi a sitting Governor couldn’t win his Senate bid; Saraki a sitting senator (Senate President) with the backing of his governor lost his return to Senate, what more proof do we need that the results represent the true choices of the masses. When Uduaghan and Akpabio lost their senatorial bid but Dino Melaye, without the backing of his Governor retained his seat and Dogara without the backing of the Governor also retains his seat, should elections that produce such outcomes not be considered fair? When Vice President Osinbajo lost his PU; some people still chose to hang to the theory of the rigging narratives. These are indications that the will of the masses is respected in these elections as there was no interference from the FG to favour itself in the elections. Whatever evidence Atiku and his party claim to be in possession of are not for public consumption. They should go to court with it. Their actions on the social media and demonstration of numbness across all media houses, they should have been informed by their legal team to be inimical to their case. That would be exposing much of their game to the opposition. The rule of the legal game is that you hide and play your last card when the opposition least expects it. PDP actually has no incriminating evidence against APC or the President but as usual of their indulgence in ignorance of principles and overreliance on elements who believe the only way to get through to the populace is by feeding them with lies and baseless propagandas. This cost them the 2015 presidential election, and has cost them the 2019 presidential elections, and yet they are not tutored towards the path of reality. PDP and its presidential candidate in the 2019 election spewed much lies and propaganda before the elections; one that showed the extent of desperation of the party to win the elections by generating hatred for the APC-led administration through relaying false information to the public. It is on record that Atiku address a press conference before the elections and claimed his party had intercepted a team sent by APC to China in order to perfect the operation of a phone like device to be used to jam the card readers. He claimed they actually are in possession of the device and some of the boys. The news created scenarios across the country; dusts were raised, sympathies were gotten and the episode died. Nigerians were taken to be the fools for it; they used the story to manipulate the mindset of Nigerians. There was no device, they intercepted nobody, yet they called a press conference to tell Nigerians home and abroad the lies fabricated by their campaign team. To what end? We all listened to the vice presidential debate and remember the very many lies of Peter Obi. You can’t reel out figures like that if they were not premeditated. Those figures were all confirmed to be either lies or half-truth. That was intentional and the objective was to deceive Nigerians. The same scenario played out at the meeting with Kadaria( Inn the candidate show); the duo of Atiku and his running mate thought Nigerians to be gullible enough to take whatever they say once they are eloquent. Atiku and his party would not change. Those in the pitiable situation are those Nigerians who, for unfathomable reasons, believe any statement credited to Atiku till now. Whatever evidence Atiku claims to be in possession of, he should please present it before court. It would be absolutely wrong for anyone to have expected Atiku not to go to court if he believed he was cheated in the process of election. It is his fundamental right to seek redress in a legally prescribed pattern as much as he is not under any obligation to call to congratulate the winner; he is very much entitled to making the decision to do or not to do so. The much drama about ‘We are going to court’, ‘Don’t stop us from going to court’, ‘APC is begging Atiku not to go to court’ and other such cacophonic narratives are childish and unbecoming of a party that had ruled Nigeria for good 16 years and a man of Atiku’s social status. APC’ unequivocal rejection of every demand from Atiku through the peace committee is enough for Atiku to know the position of President Buhari and APC. It was a known fact before the election that Atiku would lose; Atiku Abubakar himself knew he would lose the election: all surveys point to that, and that he would reject the election results afterwards. But then it was surprising when he refused to wait till the end of the elections before rejecting the results. That alone makes him a bad loser. How can the same people say different things about the same issue at different times? Atiku and PDP claimed they are in possession of a parallel result that showed he won the election, yet the analysis of infractions they made shows a mere error of about 400,000 votes when their margin of loss is approximately 4,000,000. The inconsistencies in the complaints from the camp of Atiku alone make someone wonder what they really want. They sit and decide there is need to say something over nothing and go ahead to say anything. While Atiku was busy tending to his bartered ego with the requiems, ‘I will go to court’, ‘I will reclaim my stolen mandate’; the EFCC was busy doing their job and Atiku’s son-in-law and lawyer were picked for interrogation. The opposition party got a new narrative; Buhari is using the EFCC to intimidate Atiku to accept defeat and the PDP foot soldiers created the propaganda ‘If Buhari is not scared of Atiku going to court, why the attempts to stop him?’ What they wish the public would not have access to is the reason for the arrest of the duo. The fact of the arrest is that Atiku’s son-in-law is under investigation for alleged laundering of £150 million (70 billion). Preliminary evidences show that Atiku’s lawyer, Mr. Uyi Giwa Osagie, two slush firms and two Bureau De change operators received £67,950 (31, 753,715) of the money. Tracing the money, EFCC released the full detail of the clandestine movements of the cash which is believed to be meant for vote buying and bribing of electoral officials, judges and security personnel. While PDP would not rebuff the current document of EFCC investigation, the party would rather prefer that Nigerians ignore the document altogether and focus only on the timing of the investigation; by this they will grow the public sentiment of intimidation. The fact remains that Atiku was very sure of victory at the polls and said that much because he believes every Nigerian has a price and he has the resources to buy us all. He had put a price tag on each and every state INEC REC, police, CPO and everyone among the electorate but the strict operation of the EFCC and other financial tracking measures aborted the entire plan. Without the financial inducement, the entire process was blown, people voted at will and the loser lost woefully. The outcome of the governorship elections is a major vindication of the freeness of the presidential elections. There is apparently no way the president would have established rigging machinery in connivance with state governors outside the party structure and two weeks later, same governors struggle to avert defeat in their various states where their party had earlier clinched with landslide victory in the presidential elections. This implies that the people know what they want; they want the president and they said it clearly with their votes. Imagine what is happening in Kano now; how could Ganduje be struggling to win the state for his party if the narrative that he rigged the state for the President last two weeks was true? The same North that massively voted for President Buhari is now deciding the governors they want. When the President said the people should ignore any governor who refused to pay workers salary, Nigerians thought the president was only patronizing them but the president was merely telling his supporters to vote for him because they could see his antecedents and performance but their choice at the state elections should be theirs. This is what played out in the state elections and is still unfolding. People have said a lot of negatives about the activities of the security outfits in the 2019 general elections. Most of the released statements were emanating from PDP and its paid foot soldiers. Nigerians must know that the security has been very professional and played a neutral role during the entire election period. Atiku and his party chose to paint the security forces in bad light by either fabricating or misrepresenting events to justify their cry of intimidation by the ruling party. At no time would they want the people to know that the deputy governor of Kano state was widely reported to have been arrested and whisked away from the collation centre for allegedly attempting to alter or influence the voting process; this happened in a state where the APC allegedly “rigged” elections. These are some of the lessons and experiences learned from the 2019 general elections most of which have been concluded. The aftermath of the elections is proof that the Nigerian electorate is getting more enlightened about the electoral system and democratic norms. The revelation of several discordances in the results of some states from 1999 to 2019 has buttressed the allegations of writing results in the South-South and South-East instead of conducting real and credible elections. This has increased the hopes and aspirations of Nigerians that their votes actually count. These elections have also improved the belief by the world in Nigerian democracy and in Nigeria’s role as a leading player in the African democratic and diplomatic climes: other African countries shall not be let down by Nigeria with the developments in our electoral system.